Sure, why not? Rather than e-mail one, though I’m putting it up here on the website, where any artists who want to use it for drawing practice—or writers who want a script example, or reader who just wants to read a comics script for the hell of it—can have access to it. I was particularly proud of this issue; I think it’s paced well, has a lot of excitement and charm, and it sets up the sting at the end without foreshadowing it ’til the last minute, so Conan comes off looking smarter than anyone would predict. 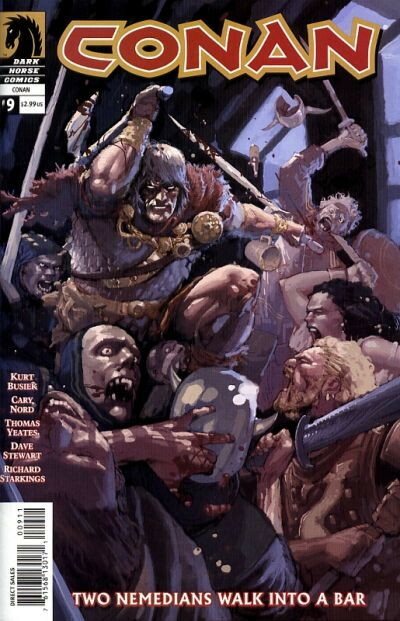 This entry was posted in Comics, Full Issues, Stories and tagged conan by Kurt Busiek. Bookmark the permalink.